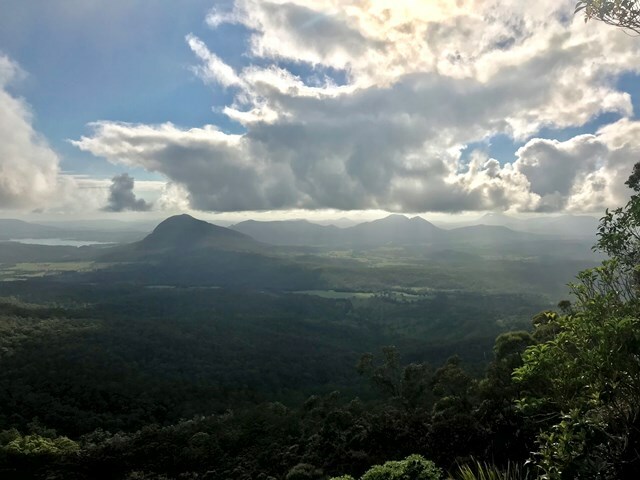 Magnificent views out over the Fassifern Valley. 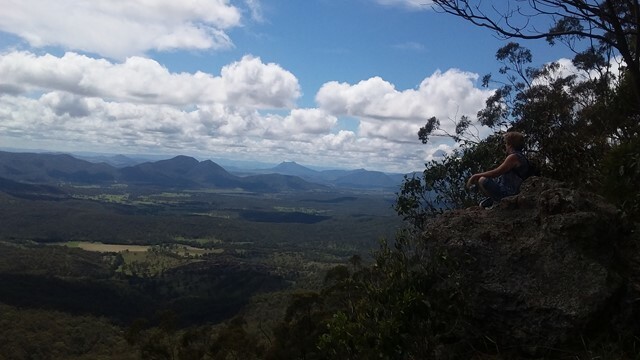 Take a seat in the large rock at the edge which was popular resting spot for early governors on their journeys over the range at Spicers Gap. Be careful as it is a sheer cliff edge. 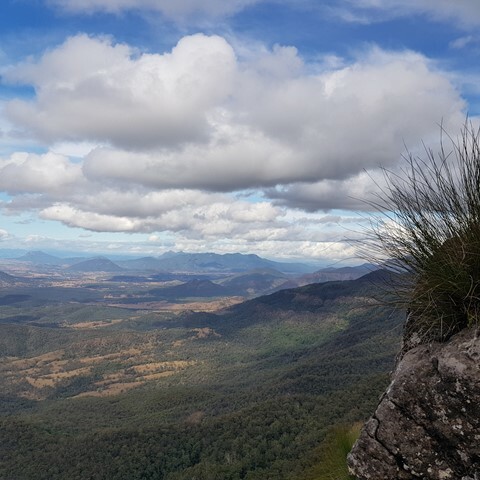 Follow Lake Moogerah Rd, then Spicers Gap Road via Spicers gap camping / picnic area and up to the Governors Chair lookout carpark. 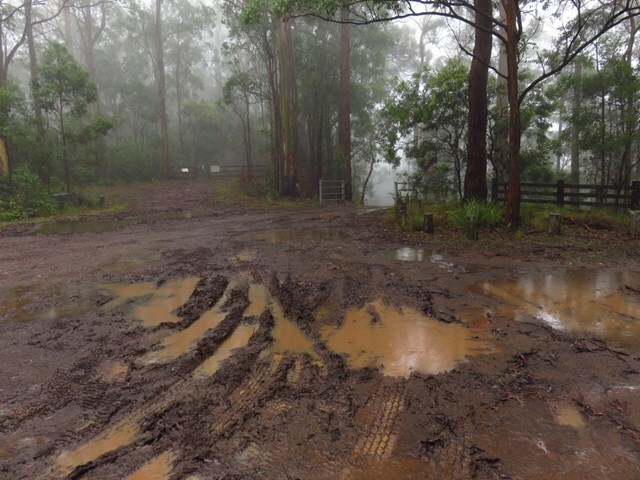 Spicers Gap Rd is gravel and can be difficult in wet past the picnic grounds but most 2WD vehicles will be OK. 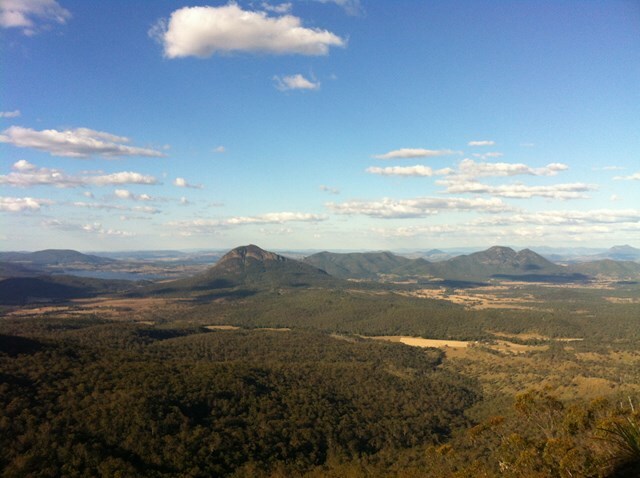 If the road is closed you can walk from the Spicers Gap carpark / picnic area. 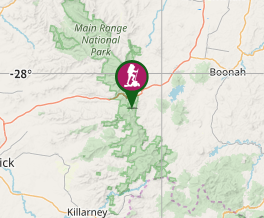 NPWS Cunninghams Gap map from their website. Cunninghams Gap topographic map, not necessary unless you plan to walk off track. 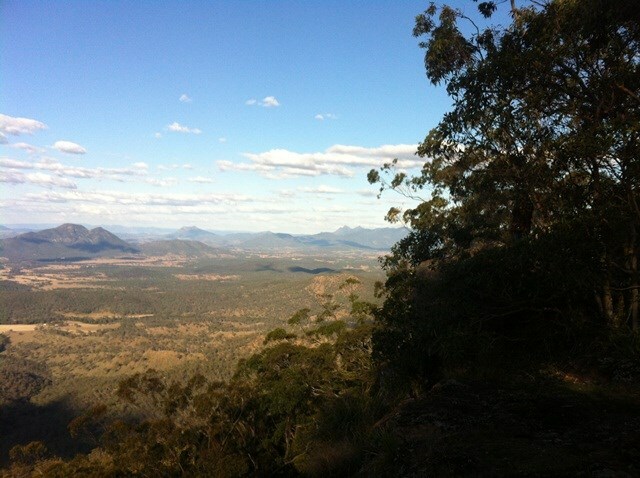 A short walk up a gravel path and steps from the Governors Chair carpark to the lookout. NPWS main Range website has all the information. Easy drive on a dry road. Incredible view for very little effort. Stunning views from the Governors Chair spot. Road is badly washed away in spots with recent rains. A lot of bird & animal life to see. Worth the approximately 7 klms of gravel road but take it slowly. Fantastic views that make the drive up there very worth while. Absolutely stunning views! Most pituresque place I've ever had lunch. 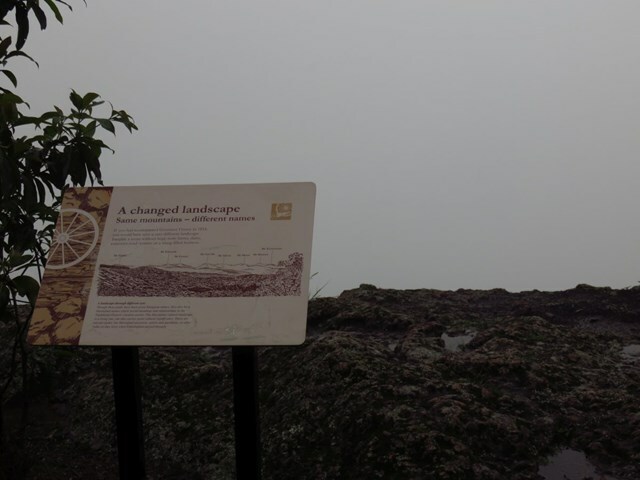 Well worth it for the views alone, added bonus of the rich history on the plaques. 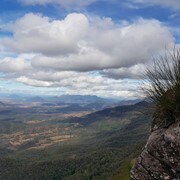 This is an AMAZING view towards Mt Fraser to Mt Barney. Access is via a long dirt road so I don't recommend attempting in the rain, a very stressful drive for my little Tiida. Don't do this walk on a rainy day, all I could see was white (clouds).